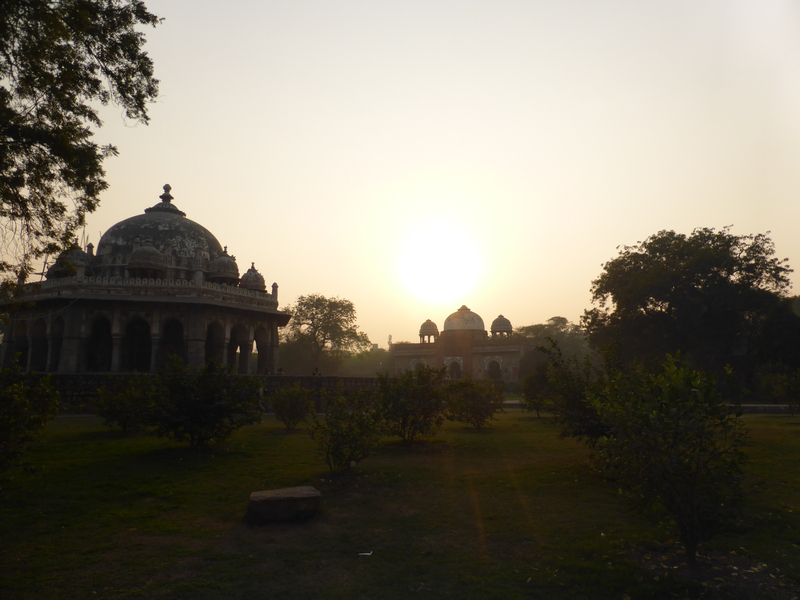 Last month (January 2016) I took a break and went to India. It was my first time in India (and in real Asia), and it is very limited what you get to see of India on a month because it is a huge country, though we did go both North and South. Overall I have to say that it was a wonderful trip with a lot of new impressions of a completely different culture and fantastic food! 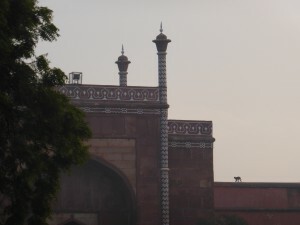 For now, I would like to tell you about North India, and specifically the area around Delhi. To get a picture of the North around Delhi, try to imagine New Delhi, as a city that seems to continue forever. 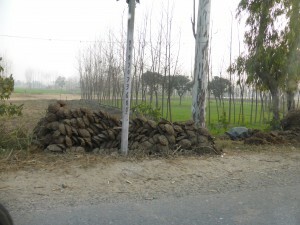 We didn’t even notice when we were outside of Delhi and inside the next city. Then after two hours the landscape was a mix between agricultural fields and cites driving 200+ km away from Delhi north toward Rishikesh and south toward Agra. The agricultural landscape reminded me in many ways about Denmark or Germany, but on another scale, a completely different scale. Off cause there were a few differences, for instance cow dirt is not piled up along the roads, and we don’t have huge rice and sugar cane fields in Europe, and there are not cars coming against you in the one way tracks on the highway! Inside the cities (Delhi included), you could find huge and very old trees. 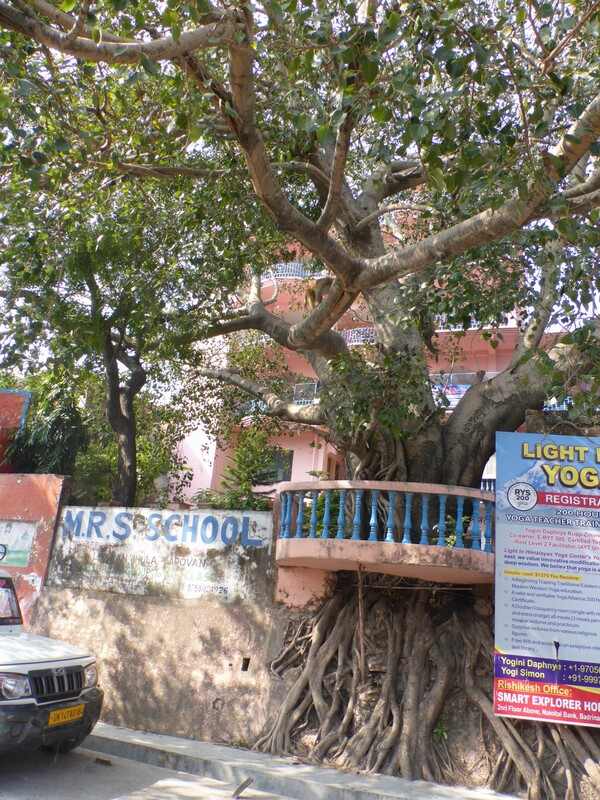 Old trees in the parks, along the road side, within the walls (they just build around it), within temples, and as a part of the city. So cities would have a quite green appearance, with huge trees with lianas on, monkeys crawling on the trees. 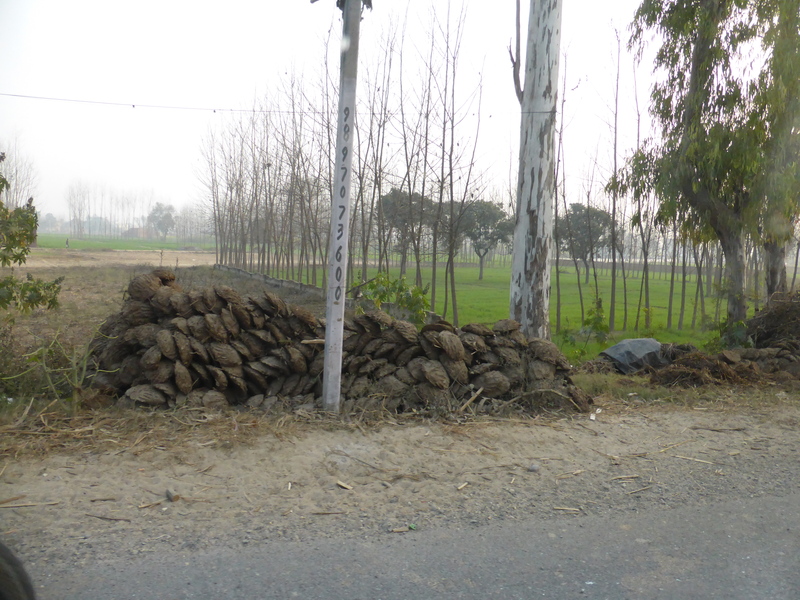 Apparently the trees along the road side are even protected by the government, and colored by different colors. This was a huge contrast to what I expected (I expected to see nature outside of the cities, and nothing inside the cities). Delhi in the center 3rd of January on the way toward Humayun’s Tomb. The smog inside and around Delhi was horrible though. Just as the city, it continued forever, but even further. Outside of Delhi 150+ km away there was still smog!! As far as I understand January (the cold months in New Delhi) are the worst smog-wise. The sky would clear up around 12 o’clock mid-day, and then the smog would come back at night fall in the evening again. 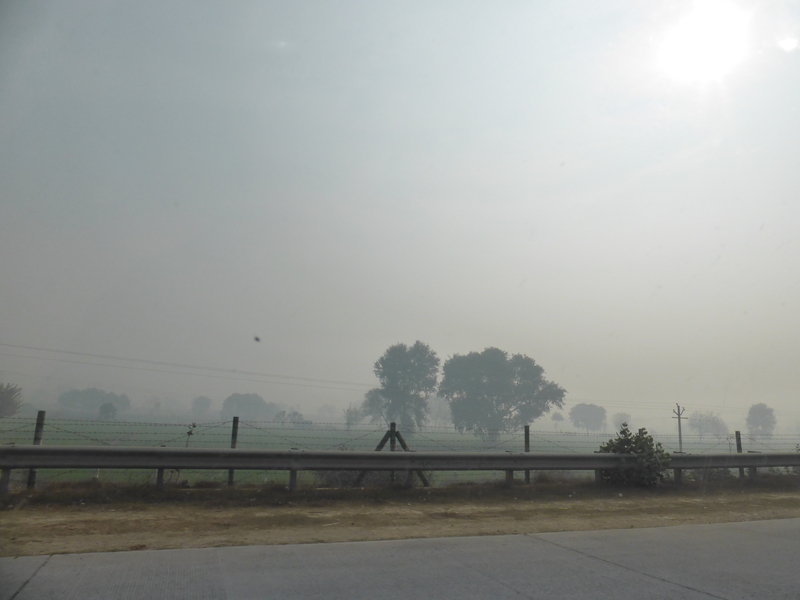 Agricultural fields 100+ km away from Delhi, though the smog is still quite heavy sun is shining through because we are approaching noon. Photo: Mia Vedel Sørensen. 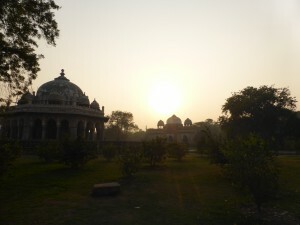 Smog that was slowly arriving in the area around the Humayun’s Tomb, in Delhi. First of January the government in India tried to implement a new law (the odd-even law) in the attempt to reduce the use of cars. We became very hopeful when we arrived in Delhi the 3rd of January, because there were actually not that many cars according to our drivers. The trial-period of the law ended January 15th though, and when we came back to Delhi 25th of January back there was a lot of traffic. As far as I was told the middle and upper class in Delhi have almost a car per person in each family, to me it sounded like American conditions. And American conditions in combination with the millions of people living in Delhi, is just a really bad combination! Burning of plastic and use of fresh wood to cook on does not make air quality any good either, though the smog is just still differently horrible from anything air I ever tried inhaling. And the worst is that people living in the city stop to notice it. When we tried to start a conversation with our driver about the smog he would only understand what we talked about if we called the smog “fog”. This could reflect that people living in it learn to live with it, but people are dying from it. Read this. It is seriously unhealthy!! There is such a great potential for Delhi. I would love to spend more time in a smog free Delhi, because there are a lot of interesting cultural heritage sites and it seems like a great and even green city, with nice parks, big trees, monkeys and what not. This has to have been Abu from Alladin on a wall on the backside of Taj Mahal. Photo: Mia Vedel Sørensen. 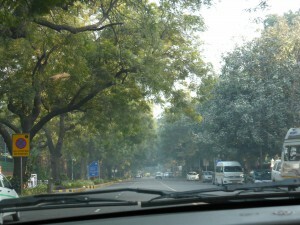 Though spending a night in Delhi was more than enough for us this time. Imagine, I could not sleep without covering up my mouth. I wish I had a mask! I might be spoiled coming from and living in Scandinavia without any really big cities, but really, nobody should accept to breathe in such air! Hopefully this new odd-even law started something serious to make the people and world more conscious about the problem, and thereby ready to solve it. (Additional moral of the story: Don’t visit Delhi during the cold months).